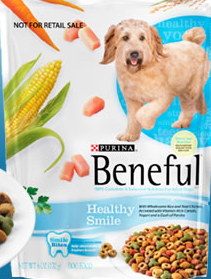 Head to the Beneful Facebook page, “like the page” and then request your free sample of Beneful Healthy Smile Adult Dog Food. If you can’t use this is would also make a great donation item. Retractable Dog Leash with Built-In Flashlight & Bag Dispenser Only $14.99 SHIPPED (Reg. $39.99)! Here is a GREAT deal for pet lovers! Right now purchase this Retractable Dog Leash with Built-In Flashlight and Bag Dispenser for only $12.00 + $2.99 flat rate shipping (Valued at $39.99)! •Great gift for dog lovers! FREE Sample of Nature’s Variety Instinct Dog or Cat Food (Facebook Offer)! Hurry over to the Instinct Facebook page and get a FREE sample of Nature’s Variety Instinct Healthy Weight Dog or Cat Food. Register for a free Nature’s Variety Instinct Healthy Weight sample while supplies last (U.S. residents only). Choose your free sample for either dogs or cats. Petco: Dog Crates Up To 60% Off! Shop Now! If you are looking for a dog crate, Petco has the Midwest iCrate Double Door Folding Dog Crates up to 60% off online only. Looking for a single door crate? Midwest iCrate Single Door Folding Dog Crates are up to 73% off. Petco: $5 Off Your $25 Coupon *Print Now! If you have pets, August 11th & 12th Pals Rewards members can get $5 off in-store purchases of $25 with this printable coupon. Here’s a great deal for those of us with pets! Get this 3-Piece Pet-Food Storage Container Set for just $19.99 Shipped (Retail $39.99)! I did some pricing online and this is the best price by far I have been able to find! FREE Purina One Smart Blend Dog Food Sample! If you have a dog in the family hurry over and grab yourself a FREE sample of Purina One Smart Blend Dog Food! *You could also give this to your local animal shelter.